The Anhänger (A2) 1t, offen - trailer (A2) 1 ton, open - (Anh. 311) was based on the Anhängerfahrgestell A2 of the Luftwaffe. In the photo, the trailer Anh. 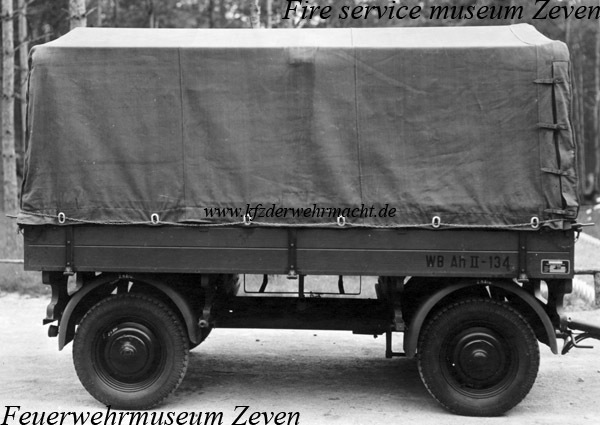 311 can be seen in the version as Waldbrandgerätewagen-Anhänger II.